Dante Barry is a Black writer, grassroots organizer, digital campaigner, and Executive Director of Million Hoodies Movement for Justice, a Black racial justice membership organization working to end mass criminalization and gun violence. 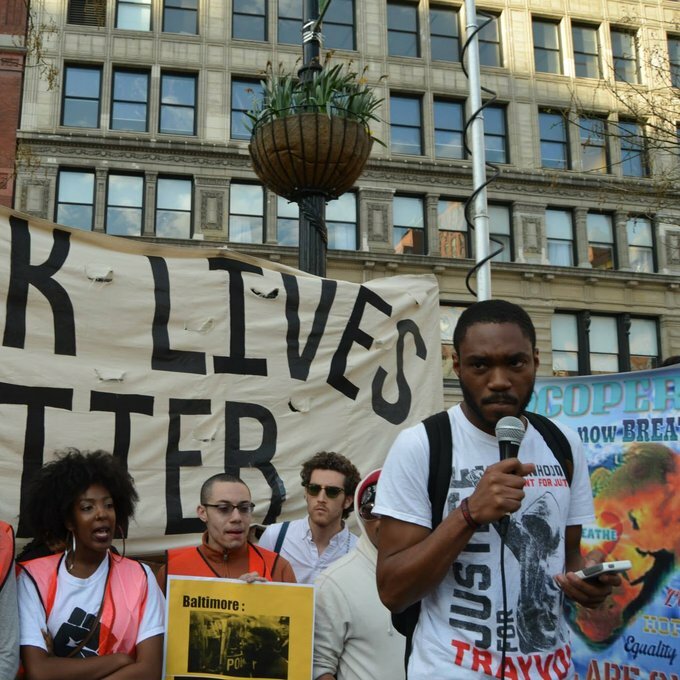 Million Hoodies develops the next generation of leaders to end anti-black racism and systemic violence through grassroots organizing, advocacy, and education to build a democracy where all Black and Brown people have social, political, cultural, and economic freedom and the right to be safe. As Director, Dante collaborates with our national leadership, board, and membership to build a powerful network of human rights leaders and a democracy that works for young Black and Brown people. Previously, Dante led organizing, policy, and leadership development programs at the Center for Media Justice, the Roosevelt Institute, and School Based Health Alliance. At the Center for Media Justice, Dante organized a network of justice-based organizations to fight for communications rights and access for all. While at the Roosevelt Institute, Dante directed a leadership development fellowship program and trained young people to organized for community-driven policy. Before that, Dante advocated for education and health policy at the state and federal levels with the School Based Health Alliance for low-income access to school based health centers. Dante frequently contributes new ideas and analysis on racial justice and participatory democracy for The Daily Show with Jon Stewart, NPR, MSNBC, Democracy Now, The Nation Magazine, The Guardian, Huffington Post, EBONY Magazine, Truthout, and has been featured in, The Future We Want: Radical Ideas for the New Century. In 2015, Dante presented at the Personal Democracy Forum to discuss the role of technology and social movements. Currently Dante sits on the board of the Andrew Goodman Foundation and has been honored by Revolt TV, The Root, andHuffington Post Black Voices for his racial justice and Black organizing work. A graduate of Monmouth University, Dante received his Bachelor of Arts in Political Science and Communications.